Be the first to share your favorite memory, photo or story of William G.. This memorial page is dedicated for family, friends and future generations to celebrate the life of their loved one. 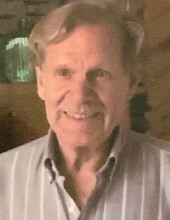 William G. Scott, 79, of Gettysburg, Pa died Tuesday afternoon, April 2, 2019 at the Gettysburg Hospital. Born September 24, 1939 in Gettysburg, PA he was the son of the late George and Laura (Baker) Scott. Bill was a Veteran of the United States Air Force. He worked for many years at Dickinson College in the maintenance department. He was devoted to his family and loved dogs, owning several throughout his life. He is survived by his three sisters, Anna Stull, of McClure, PA, Betty Chapman, of Gettysburg, PA, Viola Little, of Gettysburg, PA and a number of nieces and nephews. He was preceded in death by five siblings, Harry Scott, Sr., Frank Scott, Rose Rexroth, Mary Heiser, and Richard Scott. Funeral services will be held 11:00 AM, Wednesday, April 10, 2019 at the Monahan Funeral Home, 125 Carlisle St., Gettysburg, PA with Rev. Adam Hedge officiating. Burial will be in Oak Lawn Memorial Gardens, Gettysburg, PA. The family will receive friends from 10:00 AM until the time of the services Wednesday morning at the funeral home. Online condolences may be made at monahanfuneralhome.com. "Email Address" would like to share the life celebration of William G. Scott. Click on the "link" to go to share a favorite memory or leave a condolence message for the family.